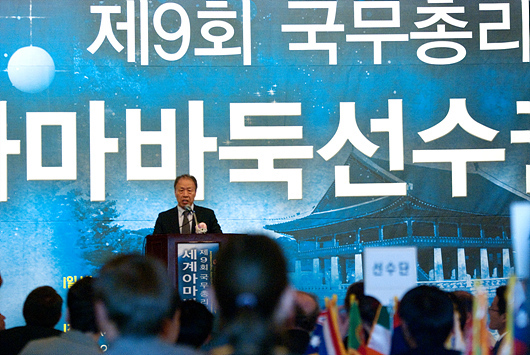 The 9th Korea Prime Minister Cup International Amateur Baduk Championship started its opening on 18th. In the opening ceremony, many of VIP of KBA and KABA attended and also Andrew Okun, Martin Stiassny have been invited as VIP guests representing both America and Europe Baduk Association¡?s head. About 70 Baduk lovers enjoyed the opening ceremony including VIP and representatives from the entire world. The video which shows history of KPMC caught people¡?s eyes and also the events. From 19th of September, the KPMC which includes 6 rounds of swiss league is going to be started in KBA. Yu TaeWoong who is a representative of Korea meets with Dmytro YATSENKO from Ukraine while Who Yuching a representative of China meets with Zi Chih Stefano YOU from Italy.